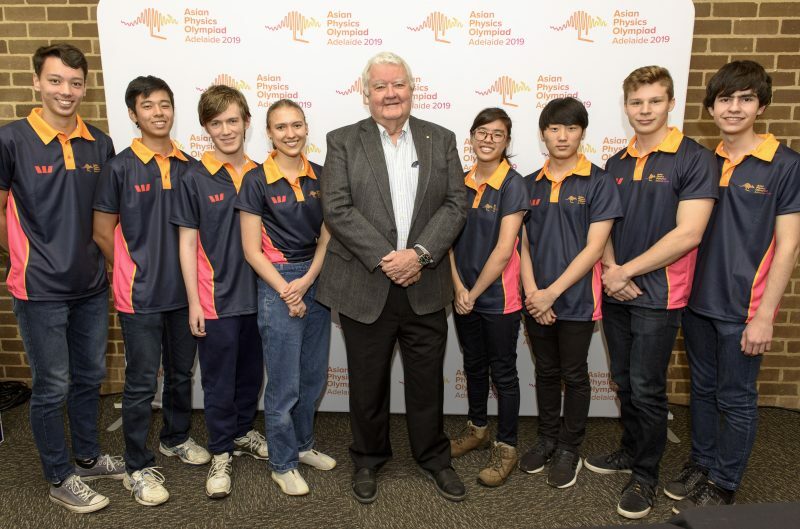 Eight of Australia’s top performing student physicists have made the team to represent Australia at the Asian Physics Olympiad to be held at the Adelaide Convention Centre from 5 to 13 May. They will compete against more than 200 of Asia’s smartest kids representing 27 other countries and regions. The Australian Year 11 and 12 students are from Sydney, Melbourne, Perth, Canberra and Sutton, NSW. They will compete in theoretical and experimental exams that draw on first-year university physics, and will try to win gold for Australia. The students have spent a year in exams and intensive training to make the cut. They outperformed more than 1,700 other students who sat the qualifying exam, making a shortlist of 24 to attend a two-week physics summer school at the Australian National University in preparation for the Olympiad. “For me to represent Australia at the Asian Physics Olympiad is a dream come true. I am here because of my brilliant science teachers who encouraged me to have a go,” says team member Rosemary Zielinski from Merici College in Canberra. The Asian Physics Olympiad is Asia’s toughest physics competition for high school students. “In selecting students for the team we look for analytical thinking, proficiency with equipment, and determination to use maths and physics to solve tricky problems in both theory and experiment,” says Siobhan Tobin, Physics Program Director, Australian Science Olympiads. Australia’s Asian Physics Olympians will receive their Australian team blazers at an official team announcement ceremony at the Shine Dome, Australian Academy of Science, Canberra, on Monday 15 April. “Hosting this competition in Australia for the first time provides an important opportunity to champion our young science talent, as well as shine a spotlight on Australian science education and Australian physics,” says Ruth Carr, Executive Director of Australian Science Innovations. The 20th Asian Physics Olympiad is brought to Australia by Australian Science Innovations and is funded by the Federal Department of Industry, Innovation and Science. Click here for more pictures from the Team Announcement Ceremony.